I, Charith Akula, currently working with Infosys. 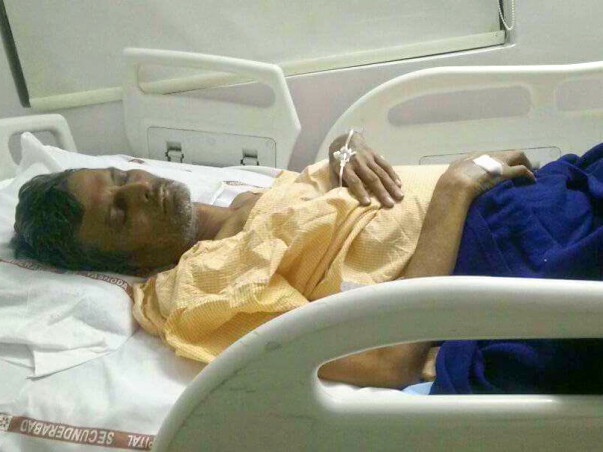 My father, Saidulu Akula, has been suffering from chronic liver disease and needs a liver transplant within 2 weeks. His health condition was not good and now it has become worse that he unable to eat any food (only liquids and other energy glucose in to blood were allowed) due to severe damage to his liver because of jaundice and ascites and Liver cirrhosis. Because of this liver damage, his kidneys got infected. 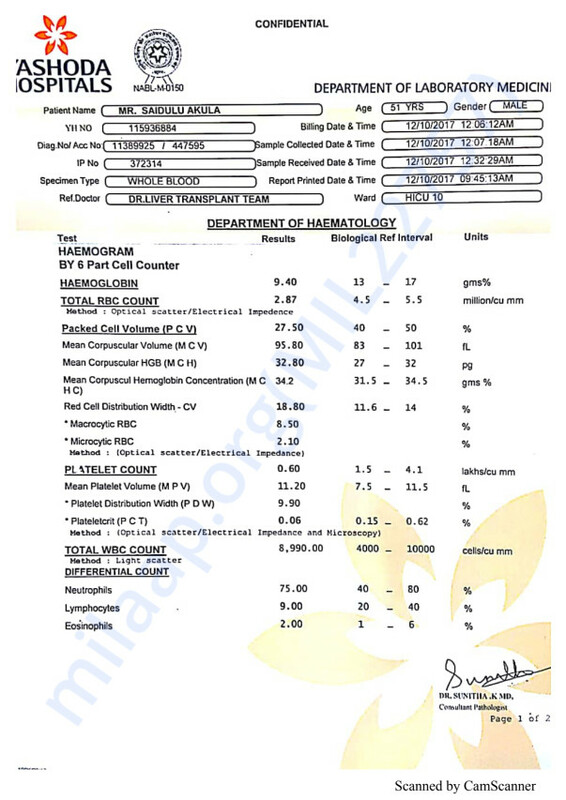 Doctors had confirmed that his liver got damaged as per the reports attached). From the past 1 month, he has been admitted in ICU at YASHODA HOSPITAL, Malakpet branch and till now I have incurred an amount of Rs.4,08,000/- for 20 days and a fresh estimate for Rs.4,60,000/- was given by YASHODA SECUNDERABAD Branch (Shifted 14 days back). The only solution for this damage is Liver Transplantation. We are searching for the liver donors for the past 1 month and he was registered in government website regarding the availability of the liver, but as of now he didn’t find any donors. As said by the doctors, liver transplantation involves approximately a Total Cost of Rs.35 Lakhs (including cost of liver transplantation and all other costs) as estimated by YASHODA HOSPITAL – SECUNDERABAD Branch. I kindly request you to provide any sort of assistance from your side. Medical reports of my father, Saidulu Akula. We have a sad news to share with you today. Saidulu took his last breath yesterday night. Let us hope that his family will find strength in this situation. Please pray for his soul to rest in peace. The funds will be utilized to settle the bills. We are still trying to contact the family for further details and will keep you posted. Here is an update on Saidulu. Saidulu's condition is critical since a couple of days. He had a cardiac arrest three days back. Although he has been removed from the ventilator, he is not responding well. Thank you for your continuous support and love.